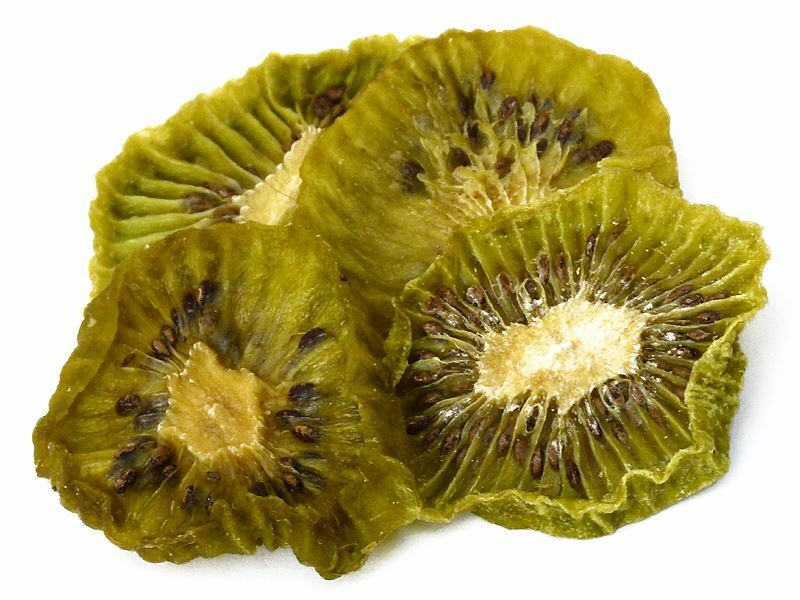 Kiwis cannot only be eaten with a spoon, also dried they taste excellent and invigorate the body. Dried kiwis are a perfect snack between meals. However, in muesli with milk they should not be used – the enzyme turns milk products sour in a very short time. Even though New Zealand is now seen as the land of the Kiwi, the fruit is actually from the south of China. As late as 1904, the Kiwi was introduced to New Zealand and then years later renamed after the Kiwi bird for marketing purposes. Before that they used the proper name: Chinese gooseberry. The oval fruit, covered by hairy brown skin and with juicy green pulp, has a widely popular sweet-tropical taste.